*Mo-Door is in no way responsible for damages resulting from installation or use to you or your bike. We stand 100% behind the quality of our product and offer a 1 year exchange warranty. Please be safe when operating your motorcycle and using your Mo-Door! Our universal Mo-Door remotes work with 99% of all garage doors that were manufactured after 1995. 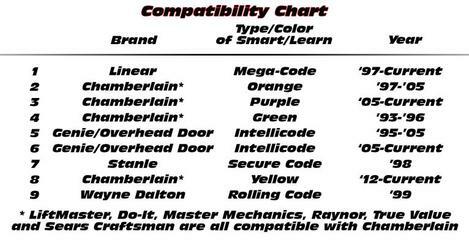 If you have a newer opener that has a learn/program button our remotes will work with your door! Every Mo-Door comes with programming instructions that will walk you through the simple process of pairing your remote with your garage door. 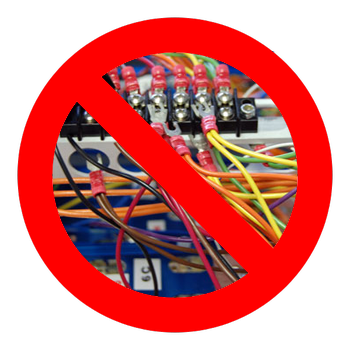 No wiring to your bikes electrical system or headlights! installation can take as little as 10 minutes! the learn/program button on it. By comparing its color to the list below you will ensure compatibility with our remotes. Don`t see a learn button on your garage door motor? Don`t worry! We have dip switch models available as well but you will need to contact us for more information!